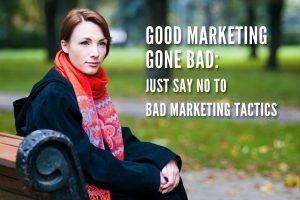 Is your cosmetic marketing bad? Entrepreneurs make me smile. They have such earnestness, optimism, and creativity. I encourage entrepreneurs whenever I can even when I think the idea is dumb. This is because I have no magic crystal to tell me what will be successful and what won’t. I thought fat free potato chips would revolutionize the chip industry and that iPads would be Apple’s first big flop. While I encourage cosmetic entrepreneurs, I also want to discourage bad cosmetic marketing. This make your own deodorant kit is an example of bad cosmetic marketing. Let me tell you why. First, here is what is written about the product. Cut the chemicals out of the equation and bring DIY to your daily routine with this aromatic deodorant kit. 100% natural, vegan, and cruelty free, this kit includes all the ingredients and components you’ll need to create three full-sized deodorant sticks in a lavender or amber scent. Just use your double boiler to combine ingredients, then enjoy the natural benefits of coconut oil, aloe leaf extracts, arrowroot powder, and more. Handmade in the USA. The first line of your story should help build the primary point of differentiation of your product. While the main thing that makes this product novel is that you make your own deodorant at home, they focus on the fictitious benefit of allowing consumers to avoid chemicals. The product is MADE OF CHEMICALS! Consumers aren’t cutting out chemicals. They are just using different chemicals. And in reality, they are using most of the same chemicals that are currently found in some deodorants. Their primary benefit is no benefit at all. But telling people to cut chemicals implies that there is something inherently scary about chemicals. There shouldn’t be since everything is a chemical. Incidentally, it is interesting to see that they have a note saying that the product contains nut/tree nut oils and that people should spot test to determine whether it will irritate skin. Shouldn’t this be something that people would be afraid of? The claim that the product is 100% natural doesn’t mean much. Certainly, the plastic container isn’t 100% natural by anyone’s standards. And the ingredients have to be processed from whatever plant they come from and that process isn’t natural. The rest of the claims are fine enough although I’m not sure what all the dead insects and rodents would have to say about whether the plant based ingredients were obtained in a “cruelty free” kind of way. Why doesn’t anyone ever consider these animal deaths when calling their plant-based ingredient products cruelty free? The last thing to point out is the price. $24.95 for a kit to make 3 deodorant sticks. That’s about $8 per stick. Wow! Although as a cosmetic entrepreneur this is a reasonable price to charge. When you are a small cosmetic maker don’t make the mistake of not charging enough for your products. You can’t win on price. The big cosmetic companies can produce more product at a lower cost than you could ever hope to do. You don’t want to be in this low profit business anyway. But from a consumer standpoint…ouch. To sum up this “make your own deodorant kit.” For $24.95 you can get a product that is more expensive, doesn’t work as well, requires you to make it yourself, and is potentially dangerous if you have nut allergies. Bad marketing? My guess is yes. Interesting write up. I love the point you made on price. People always advise me to lower my price, now I know is bad marketing.